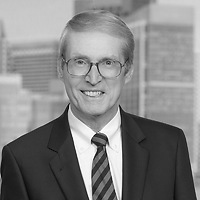 Michael Mooney, chairman of Nutter, published “Leaving on a Jet Plane: The U.S. Tax Consequences of Expatriation” in Tax Notes on February 11. The article reviews the tax consequences to U.S. citizens or residents who abandon their U.S. citizenship or residency in favor of another country. It also examines the risk of inadvertent residency and taxation thereafter for those who retain ongoing ties to the United States.